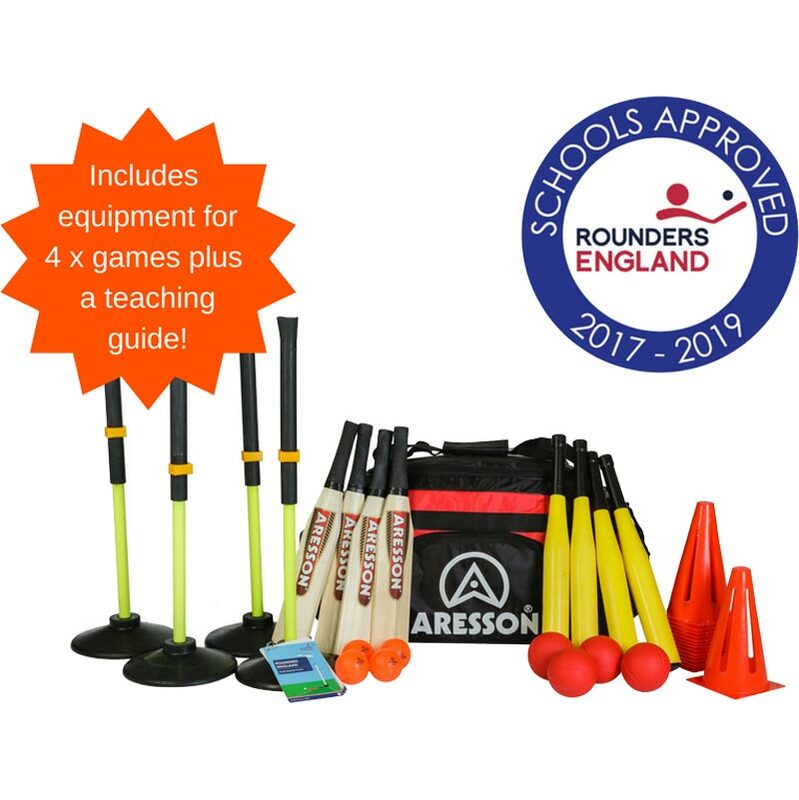 The new Aresson ® Primary Starter Rounders Set is an excellent multi skills set for 5-7 year olds and beginners rounders players. It contains 4 x sets of everything so that 4 x games can take place simultaneously to ensure that a whole class is active. The batting tees enable batting practice and different bats and balls are included to enable differentiation for varying abilities.